Apart from foreigners, local businesspeople are also interested in plots within the industrial zone in Preljina. How do you encourage them to expand their existing operations and establish new firms? – The City of Čačak is a champion in terms of the amount of funding allocated for active employment policy measures, primarily for programmes in job creation, self-employment and professional work experience practise for young people. 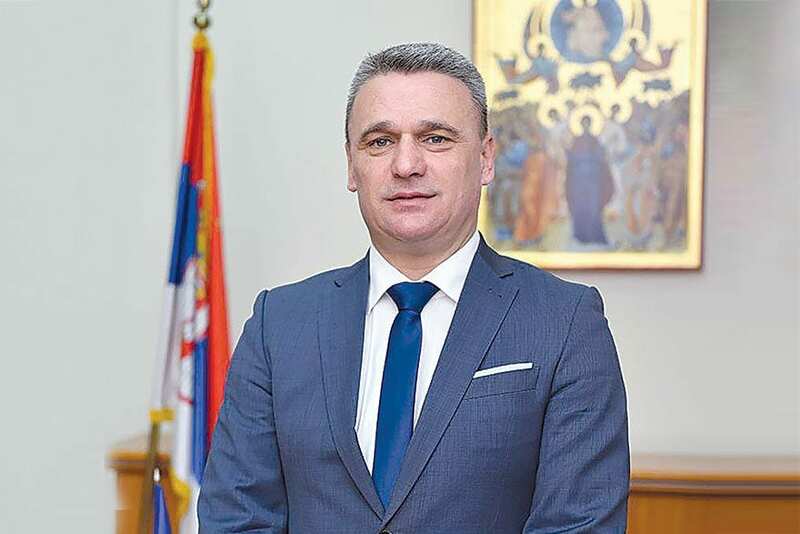 During this year we’ve set aside 40 million dinars for this purpose, while we are among the first in Serbia to adopt the Economic Development Programme, and we have planned to allocated an additional 10 million dinars for its implementation this year. 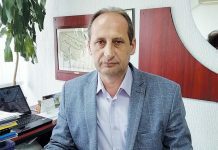 The equipping of the two industrial zones, in Preljina and Konjevići, in terms of infrastructure in 2018 has already yielded results. 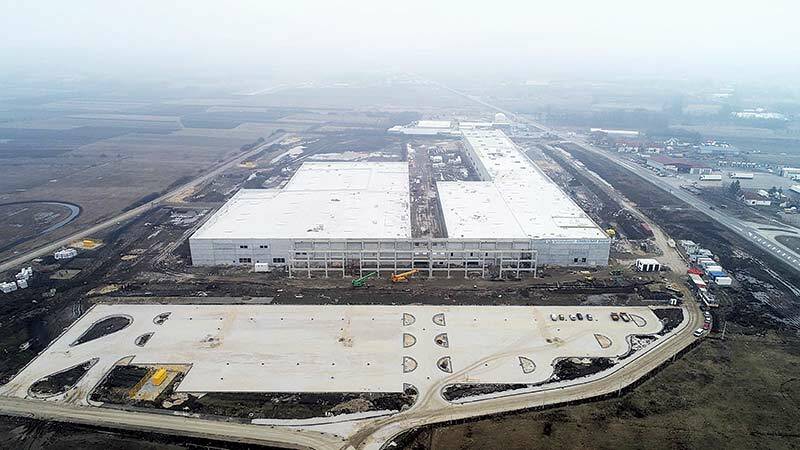 In Preljina, German company Vorwerk is finalising the construction of its 43,000 square-metre production plant, where more than 1,000 workers will be employed, while in Konjevići there are numerous companies that are expanding their existing capacities and building new facilities. For this year we’ve planned to adopt planning acts that will enable us to expand both industrial zones, furthering the continuation of works and the opening of new companies. The speed of securing a location and qualified workforce for Vorwerk represents a great advantage of your city. Can you also offer this to other investors? – Speaking on the occasion of the laying of the foundation stone for the Vorwerk plant, company owner Peter Collen said: “I’ve built a lot of factories around the world, but we’ve never seen the kind of support and efficiency that we’ve had in Čačak”. This encourages us, but also obliges us to provide the same support to every future investor, both foreign and domestic. We had huge support from the state for this job. The city was reinvigorated following the opening of the section of the highway from Ljig to Čačak. How much will the opening of the entire highway between Obrenovac and Čačak mean to you? – Completion of the route of the Ljig-Obrenovac section will certainly contribute to the even faster development of Čačak, but also Western Serbia as a whole. The announced upcoming completion of these works, as well as the positive experiences of companies building their facilities or already operating in Čačak, are certainly among the reasons why there is great interest and numerous potential new investors. If we take into consideration the launch of works on the Preljina-Požega section, the announced construction of the Preljina-Pojate highway and the opening of Morava Airport, the position and importance of Čačak as a transport and economic hub of Serbia will be incalculably greater. This will all be to the great advantage of citizens and entrepreneurs. We will employ our fellow citizens, but we also expect a large number of young, educated and professional people from surrounding areas to come to our city and contribute to overall development. We also hope that some Čačak natives who have left the city will recognise reasons to return. You’ve dealt with the construction of gas pipelines, electric transformer stations, power supply networks, service roads through the industrial zone, the installation of fibre optics etc. What does the city still lack? – Here I’d add the project for the construction of the “Arilje – profil Svračkovo” dam and reservoir, the 2023 completion of which ensure a safe and high-quality supply of water for the cities and municipalities of the Morava district and parts of the Zlatibor district, but potentially also the wider area. State support in all of these projects is immeasurably important. We also expect support for the expanding of education capacities in our city, increasing the number of colleges and expanding the range of educational profiles, as well as on the continuation of activities launched in the field of dual education. However, for the further realisation of all these activities it is first necessary to preserve peace and stability throughout the entire country, as well as an increasingly better international political position, because without that there is no investment, development or progress. One of your priorities is to develop the Čačak Science and Technology Park. Could it represent the basis for retaining young people in the area and establishing new IT firms, which are the quickest when it comes to providing a return on investment? – The future certainly belongs to the youth. It is our duty to create the best possible conditions for them. The Science and Technology Park in Čačak was actually established with the basic aim of enabling cooperation between the economy, science and research through the development of new ideas aimed at increasing the competitiveness of our regional economy. Via the public call of the Cabinet of the Minister without portfolio responsible innovation and technological development, we launched implementation of this project and the construction of the Start-up Centre of the Čačak Science and Technology Park. 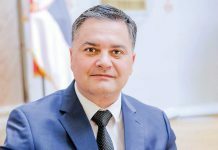 The city allocated for this project an area of 621 square metres in the city centre, in the Culture Centre, while the Government of the Republic of Serbia approved 46 million dinars for this project. In this way, the Start-up Centre will become a place for the development of business ideas and start-up teams that have a vision and that want to apply their ideas in the business environment, thereby participating in the creation and development of an innovative and economic ecosystem for our city and region, through increases in employee numbers and high-quality, professionally-orientated young people, primarily in the IT sector – as the branch that grow the fastest and generates significant profits. How much will the opening of Morava Airport, announced for 28th June this year, mean to Čačak-based businesspeople, but also citizens? – One of my first activities after the mayoral election was to form the Committee for Strategic Affairs of the City of Čačak, which is composed of nine eminent figures and experts from different fields. The Chairman of the Committee is Đorđe Đukić Ph.D., professor at the Faculty of Economics in Belgrade. One of the basic issues that this Committee dealt with was the conversion of the Lađevci military airport into the Morava mixed-used military-civilian airport. This initiative was also defined as a priority among Čačakbased businesspeople in their “Pillars of Development of Čačak” platform. According to one analysis, it is estimated that the work of local airports increases local GDP – independently of other elements – by two per cent annually. This equates to an annual increase in net earnings at the level of the City of Čačak of at least 2.6 million euros. The competitiveness of local companies will be increased through the work of the airport. Interest in investing in Čačak will increase among domestic and foreign investors, and with that the value of land and real estate in Čačak, while we also hope to halt the trend of young people emigrating from Čačak. This problem has also been seen in EU countries, where the opening of small airports represented one of the models for retaining the population. I am convinced that the importance of opening Morava Airport in Lađevci is immense for Čačak’s citizens and businesses, but also for the wider region – where more than a million people live and work. Otherwise, this will be a state airport, so local governments will not have any financial obligations.